Amazing Idea Book it's easy to want it all!! 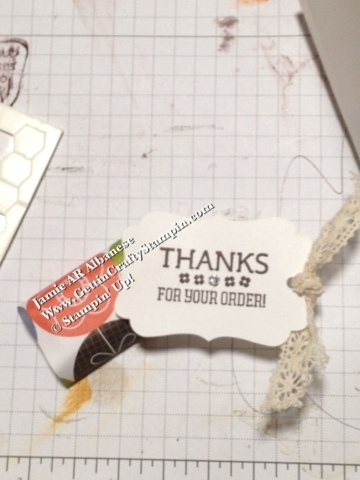 Here was a simple way to Thank some lovely ladies who recently placed an order with me... What do you think?? 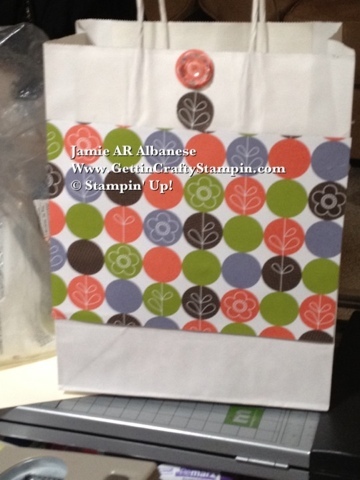 I love plain bags that I can embellish. These bags were simple and clean. I used Hot Glue to adhere the 8 1/4"x6" paper from a retired DSP. I pinched out 1" circles of the design from the remaining paper and made a lil flower at the top. With our stunning Vintage buttons it just wrapped up easy peasy. Taking that extra paper I covered a mini chocolate bar and thanked them for my order. Life is amazing and the quality time I had talking to these ladies today made me feel so loved! 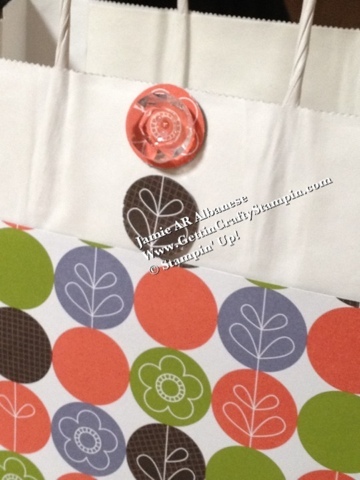 I hope you will make your own gift bags and have fun when doing so (I did! ).